/How to add a Wheel user in WHM? Root login via SSH is disabled on all our Managed VPS servers for security reasons. However, we understand that some advanced users may want to login to their VPS as root, this can be accomplished by setting up a wheel user in WHM. The system grants users in the wheel group the permission to execute the su command, which allows a user to gain root or superuser access. A wheel user has root / superuser access to your system. Please exercise extreme caution when setting up a wheel user, you may also remove / delete the user once your task has been accomplished. 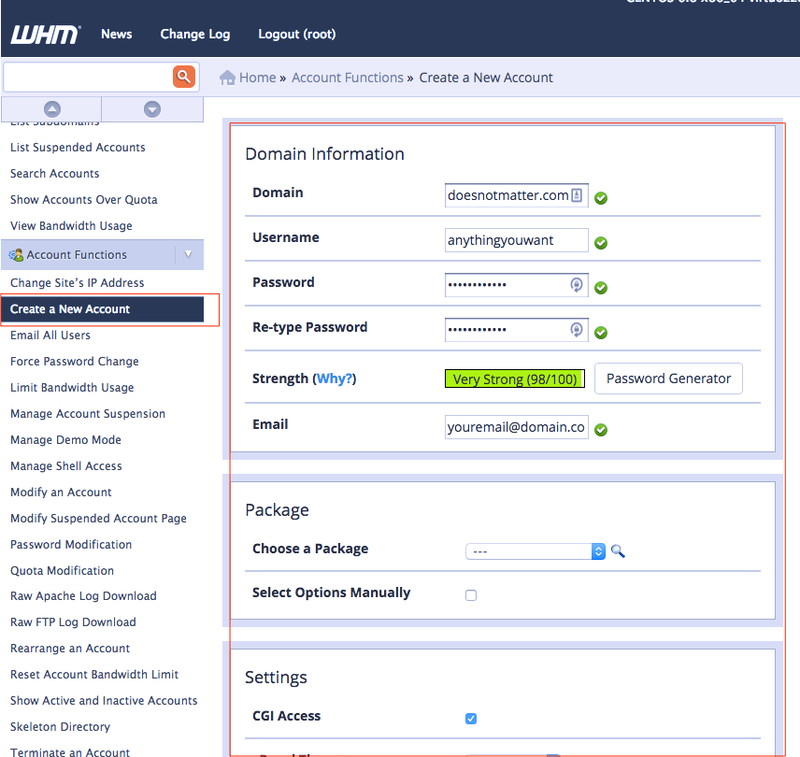 Create a new cPanel account and use a strong password. We are only concerned about the password and the username here, everything else can be just about anything. 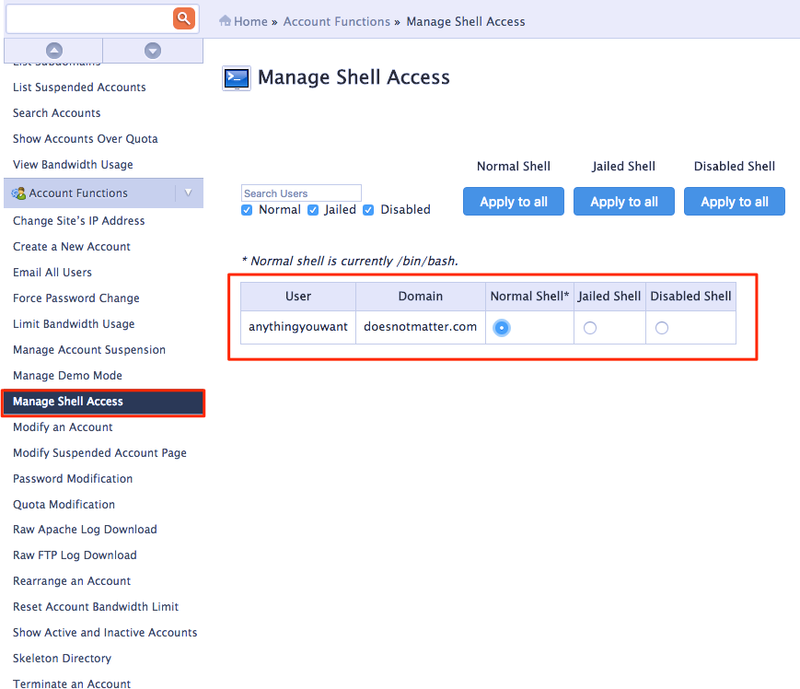 Give the user account SSH / Shell access. 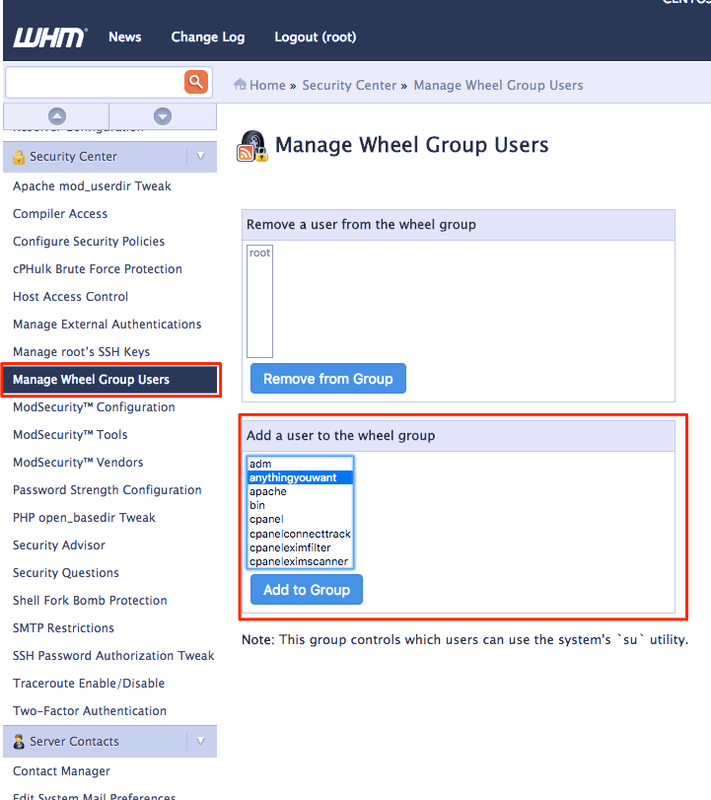 Select the Manage Wheel Users option and select the user you just created from the list and click on “Add to Group”. Now we have added the user to the wheel group. 1088 is the default SSH port on all our Managed servers, please do not change this. You will be asked for your root password, enter the root password for your server and you now have root access to your VPS. 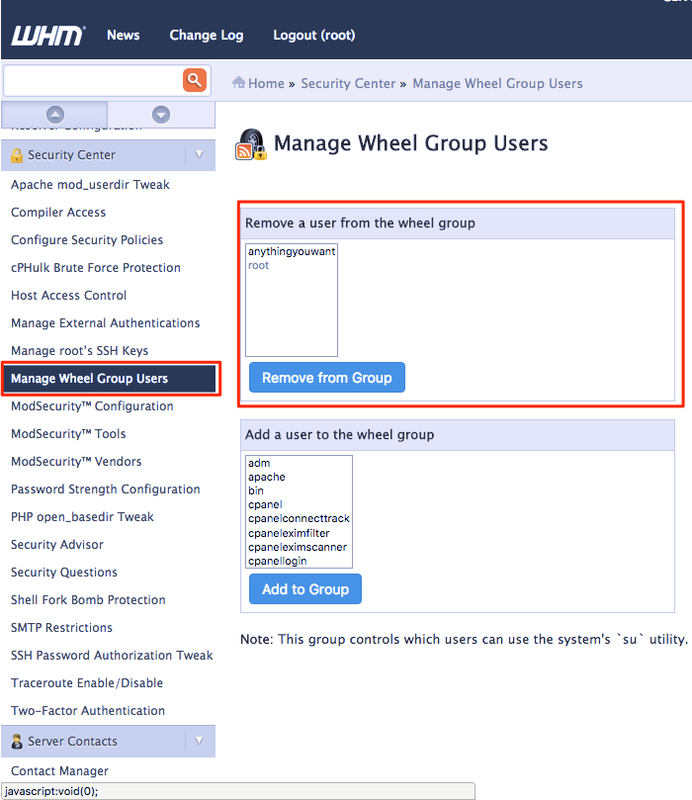 To remove the Wheel user simply select him from the list and click “Remove from Group”.